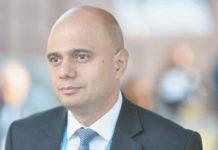 LONDON: Home Secretary Sajid Javid has announced that the government will carry out a review of the scheduling of cannabis for medicinal use. Mr Javid said the commission would first see experts look at the evidence for the medical benefits of cannabis and then see government advisors recommend what products might be rescheduled. But he underlined that there is no question of the government legalising cannabis for recreational use, saying penalties for unauthorised supply and possession will remain in place. The issue has been thrust to the forefront of political debate after the mother of 12-year-old Billy Caldwell, who had cannabis oil to treat his epilepsy confiscated from her at Heathrow, demanded a change in the law. Mr Javid told MPs: “It has become clear to me since becoming home secretary that the position we find ourselves in currently is not satisfactory. It is not satisfactory for the parent, it’s not satisfactory for the doctors and it’s not satisfactory for me. “I’ve now come to the conclusion that it is time to review the scheduling of cannabis.” Mr Javid explained that part one of the commission will review evidence for the benefits of a range of cannabis based medicines and be taken forward by professor Dame Sally Davies, the chief medical officer. Nick Hurd announcing an expert panel to look into medicinal cannabis cases. Her work will inform which cannabis based medicines should be considered in part two of the commission, which will be led by the advisory council on the misuse of drugs. The council is to then provide ministers with an assessment of which products, if any, should be rescheduled. “It has become clear to me since becoming home secretary that the position we find ourselves in currently is not satisfactory. 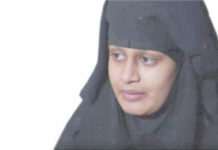 It is not satisfactory for the parent, it’s not satisfactory for the doctors and it’s not satisfactory for me”, Sajid Javid adding: “If the review identified that there are significant medical benefits, then we do intend to reschedule.